This category is reserved for blogs in the Tagalog language and for subjects which will help our Filipino readers remember that wherever they are in this wicked and changing world, the Lord is with them. They can call on the Lord who is their Refuge and Strength for He says “Lo, I am with you, even to the ends of the world. 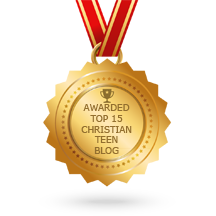 ” May each blog be anointed and blessed to be a blessing to every reader. We pray each reader will be drawn closer to the Way, the Truth and the Life, our Lord Jesus Christ and for those who are Faith Child, that they will remember to be a witness wherever they are sent. Jesus loves you and cares for you even in the loneliest of times. Praise the Lord!